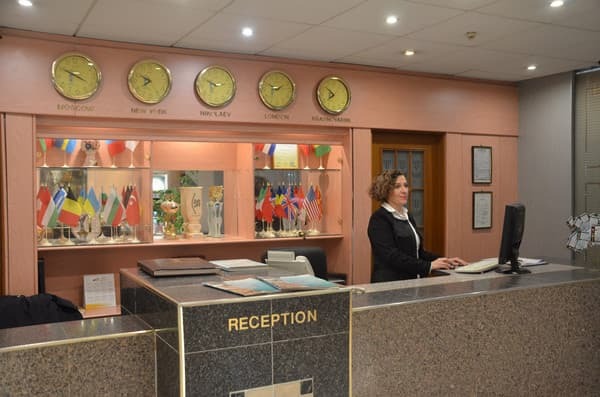 Hotel "Metallurg" offers services of three-star level. 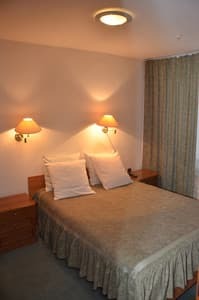 At service of guests there are single and double rooms. Delux. Half delux and luxury suites. 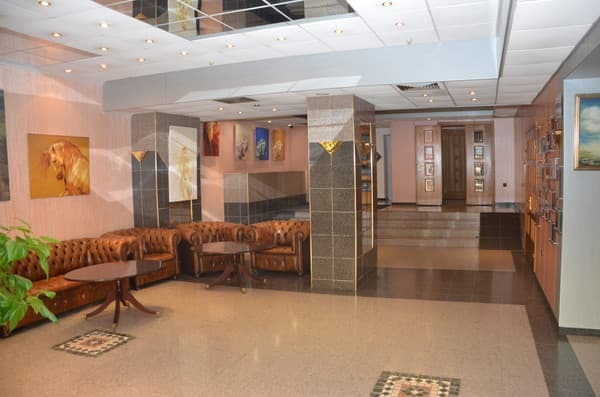 Business centre, internet, Wi Fi, safe, luggage cloakroom, fee secured parking lot at the territory of hotel. 3 conference-halls from ten to 150 people. On the ground floor of this hotel there is a bar and a restaurant. Within the complex of hotel there is a swimmimg-pool "Vodolej", which guests of hotel can visit for free. 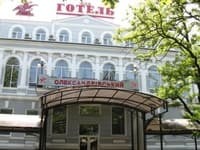 Next to the hotel there is a billiards club, bar "Gushtet" (live music, german beer), shopping centre. A system of discounts and special prices are provided. Room reservation is without extra payment. 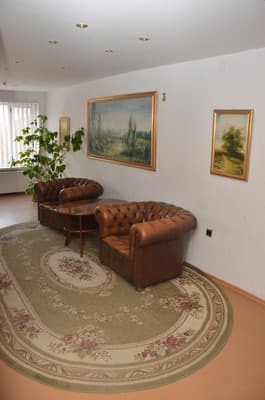 Description of the room: A bright room, a large window, four single beds, a table, a briefcase, a mirror, a TV, air conditioning. 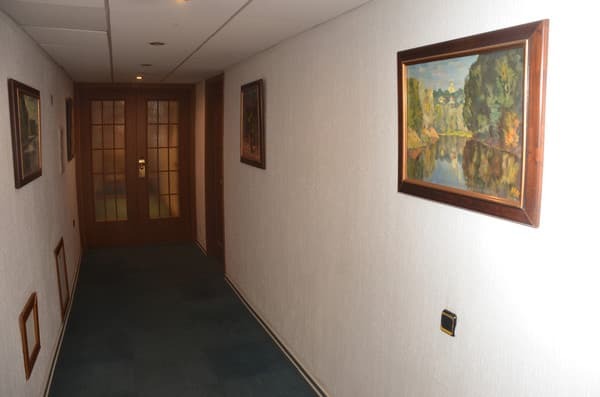 Description of the room: The room is 22.8 square meters in area and consists of one living room. 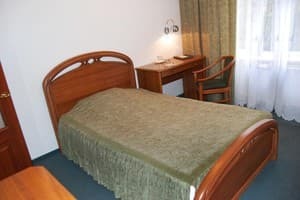 In the room there is a double bed. Description of the room: The room is 22.8 square meters in area and consists of one living room. Description of the room: The room is 16 sq.m. in area and consists of one living room. The room has one and a half beds. Description of the room: The room is 35 sq.m., consisting of 2 rooms (bedroom, living room). Description of the room: The room area is 19 sq.m., consisting of one living room. 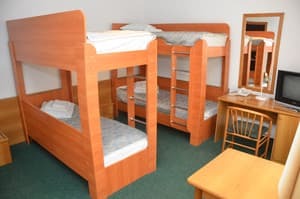 The room has two single beds. 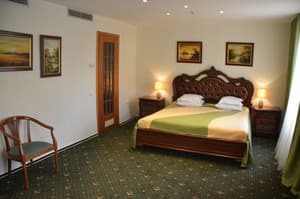 Description of the room: The room is 60 sq.m. in area and consists of a bedroom and a living room. 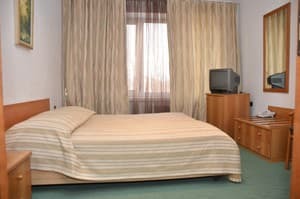 Children under 2 stay for free; from 2 to 12 an axtra place is - 35 Uah. Extra place for a grown-up is 70,00 Uah. 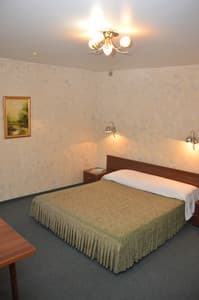 Hotel "Metalurg" is located in the centre of Korabelny district, in the city Nikolaev. From the airport/railway statiom the hotel is in 35 km. From the airport - 1 hour. Hotel is situated 9 km from the railway station - this is a 20 minutes way. The distance from the city centre is 40 minutes.